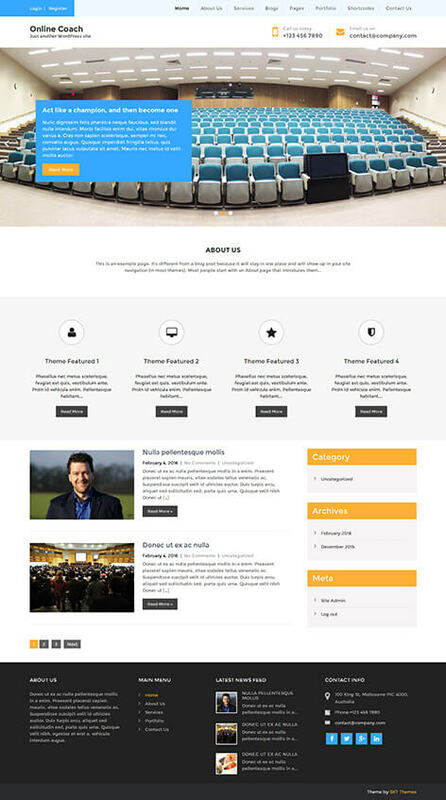 Free Coaching WordPress theme can be used nicely by coaches like life coach, golf coach or sports coach or motivational coach and speakers as well as can be used by personal website owners for having a resume kind of site or a vCard or personal website as well. Since this is a multipage structure the homepage can be used to showcase the latest shows via the slider and the services and consultation that the coach provides. Then in inner pages about the author and the coach and the other galleries and events calendar etc can be placed. Since the sidebar is widget friendly one can place dynamic widgets to have separate sidebar in separate pages of the site. 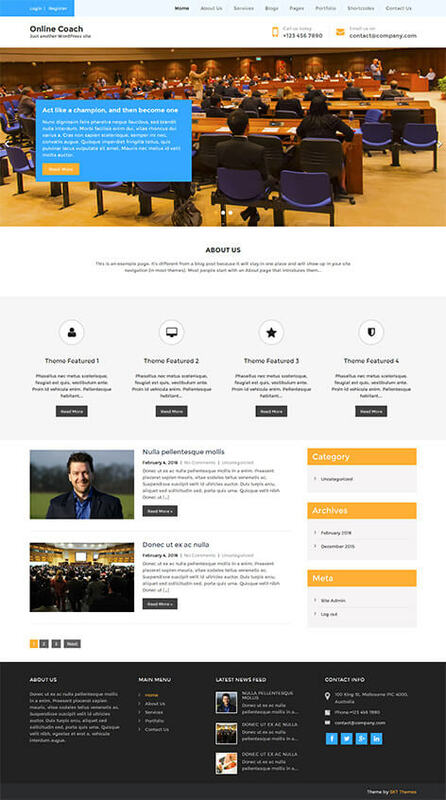 Contact form plugin is compatible with this free coaching WordPress theme and comes handy and useful for setting up booking appointments and other forms like job forms as well. Call to actions are ample with the header having phone number and email addresses as well as the sidebar is widget friendly and can hold social feeds and forms and the footer also has the location etc. Also contact page can be created and placed in navigation for linking so CTA is ample in this website for leading customers to contact you. One can have a nice interaction with their fans or students by way of commenting platforms via the blog and also bbpress forum is compatible with this template of free coaching. Since this is simple and is based on Customizer one can view the changes as they happen in real time and one can change the color scheme in general but element wise color changing and fonts etc are available in the Pro version of the template.